There is a saying: COMPROMISES ARE FOR RELATIONSHIP, not wine. If true, well this is especially true of wine on Valentine's Day. Whether your going to spend love month by staying in with your love one's and need not to spend so much looking for a Tiffany in a jewelry store. I got here a good suave, unconventional but with reasonable price Non-Alcoholic 100% sparkling grape juice to suggest. 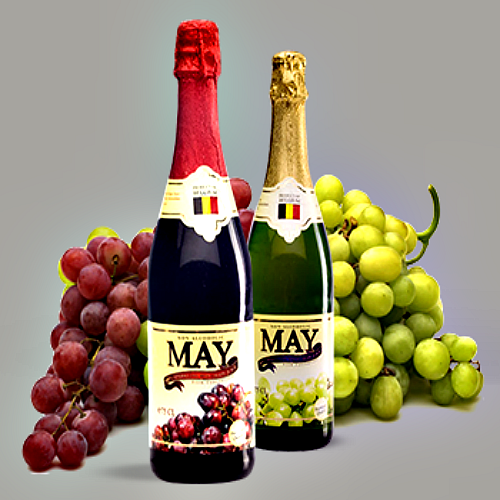 A high-quality product of Belgium and made of freshly pressed grapes, this bubbly treat is only 80 calories per serving and provides the fun fizz that instantly boosts any celebration. There's no excuse to abstain some sort of sparkling wine unless you are passionate about the concrete global warming as to be constantly anxious over the carbon emissions of a couple of glasses of bubbles. It's a great blend too! 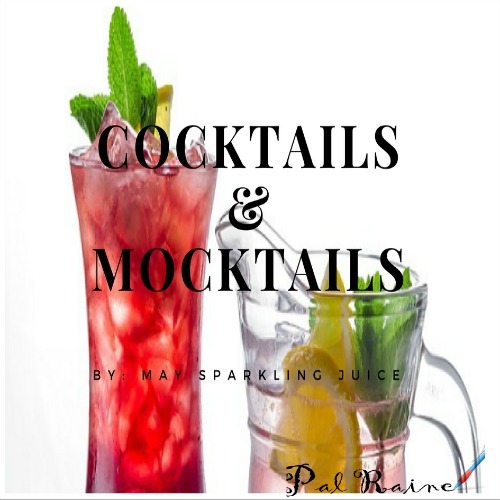 Mix it with variety of delicious drinks either alcoholic or non-alcoholic - that suit everyone's palate! Just to add some information here. 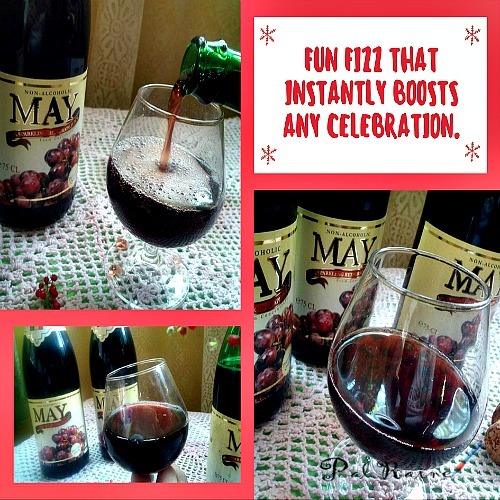 to help you more about MAY Sparkling Grape Juice. 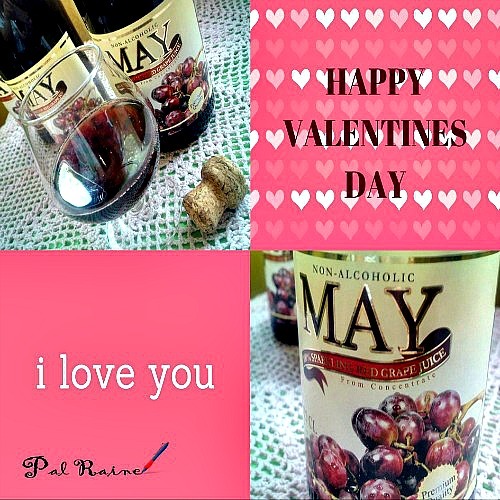 MAY Grape Juice can be enjoyed by everyone in the family regardless of age and dietary restrictions. It is available in RED and WHITE Grape variants. 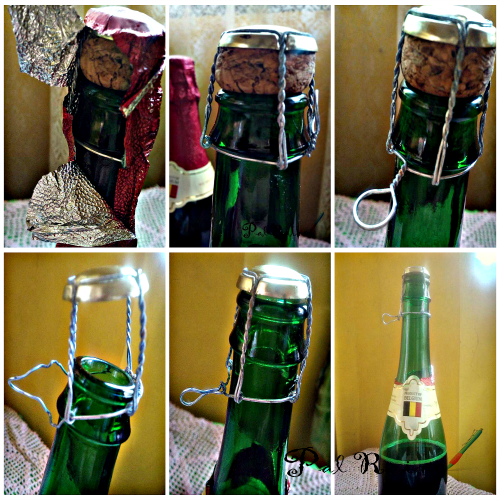 Usually, a wine bottles typically use only cork. Wherein you need a corkscrew to open it. MAY Sparkling Grape Juice had a twisted wire to open the bottle and wait for the cork to pop out! And if you've only drunk half a bottle of wine and you have leftover wines you can reseal it using the wired cap. For how long? Well, according to some of my readings, RED WINE lasted for only 2-3 days from when you opened the bottle.